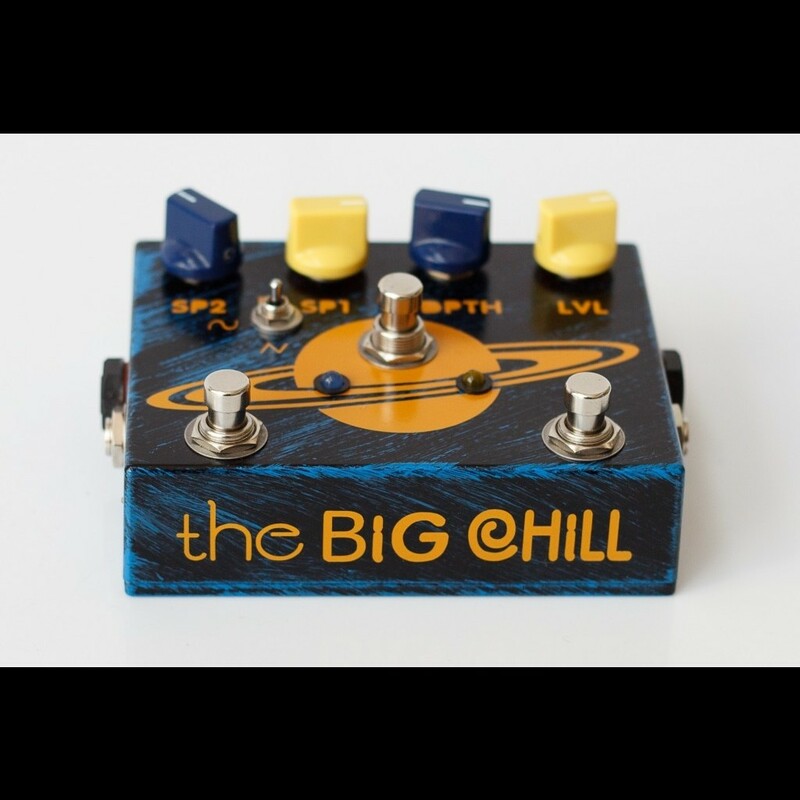 The Big Chill is our flagship tremolo pedal with a slew of functions that will take you from lush smooth tremolo sounds found in vintage Fender® amps, to strobe-like chop effects capable of slicing through any mix! The Big Chill can also be used as a clean boost! Just set the Depth control to zero, and adjust the Level to your preference. 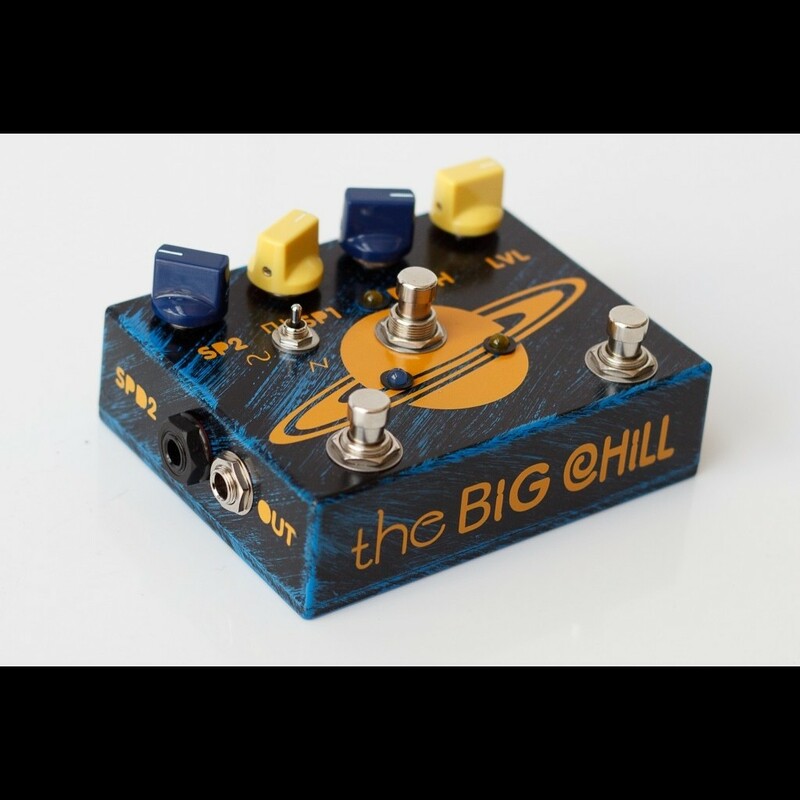 All these features along with the warmest and biggest vintage tremolo sound you have ever heard ! We are extremely proud of our creation ! 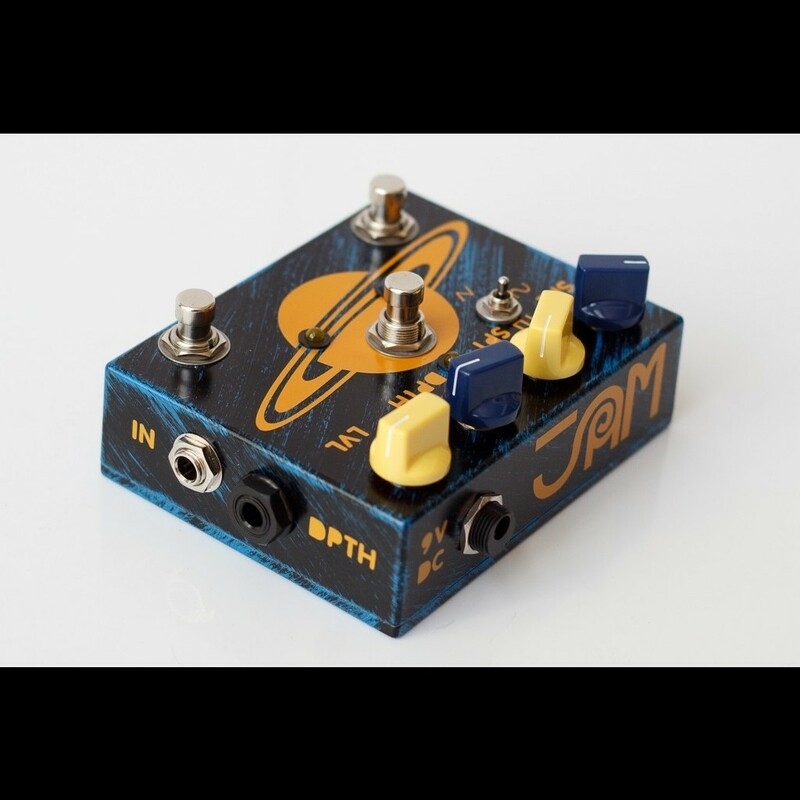 Speed (EXP3) : Expression pedal to control Speed 2. 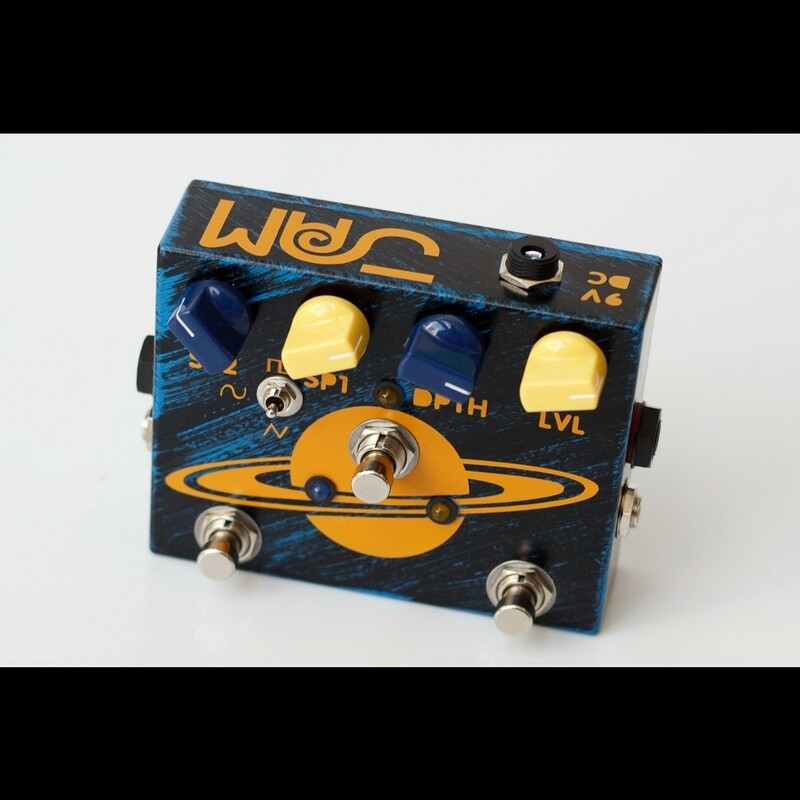 Other expression pedals could work as well, however they will not give you the full range of the control. 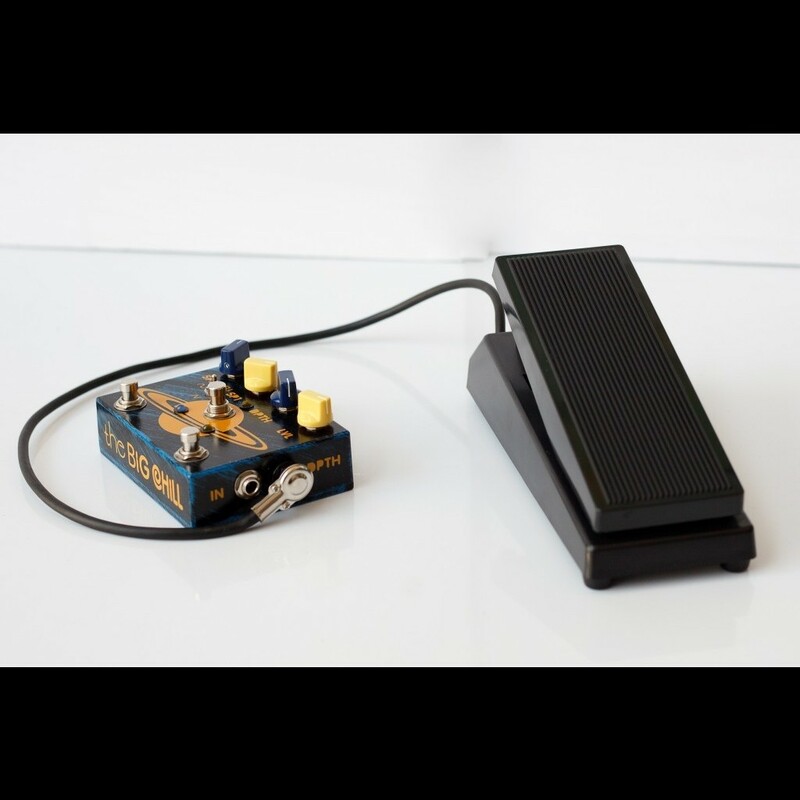 Depth (EXP2) : Expression pedal to control Depth (same with the one adjusting the Delay Llama+ Time control). 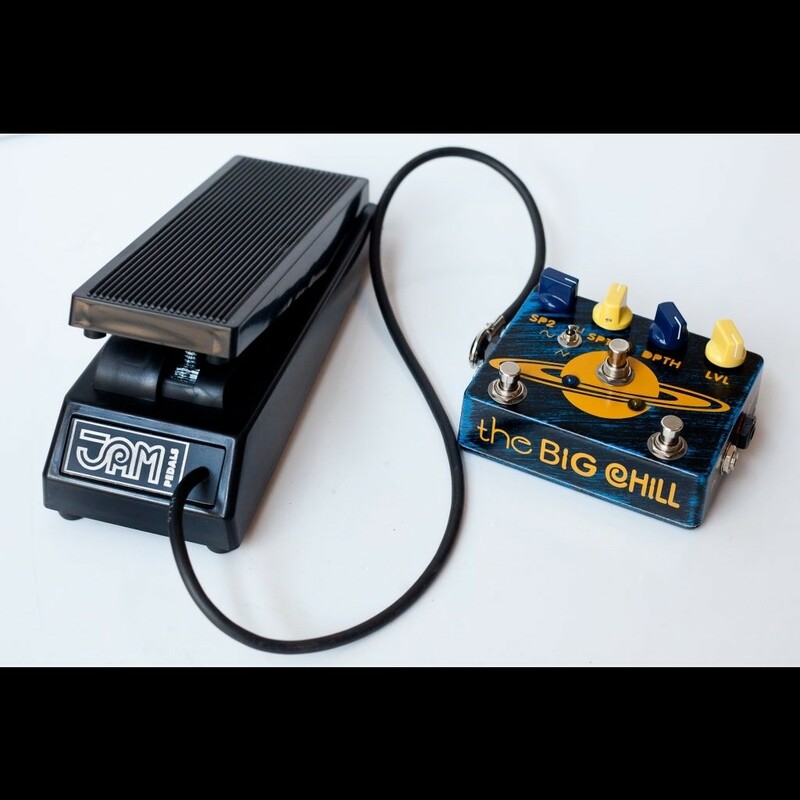 Only our expression pedal can be used for that purpose.